I can write high quality ebooks on any non fiction topics. 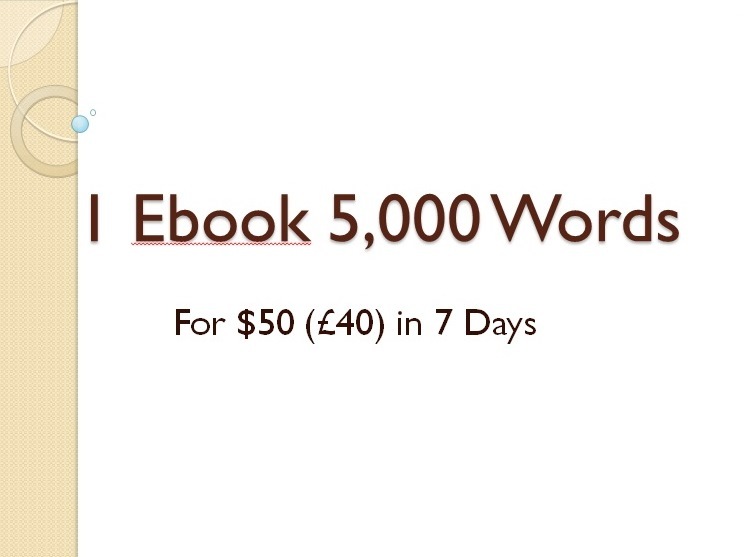 I am a first writer and I can deliver a 5,000 words ebook in 5 days for $50, a 10,000 ebook in 10 days for $100, a 15,000 words ebook in 14 days for $150, a 20, 000 words ebook in 20 days for $200 and a 30,000 ebook in 30 days for $300. All I need for the ebooks is the book titles and a brief description of what the book should cover. Daniel did an excellent work and on time. He did research and was able to deliver a wonderful work. Thank you Daniel, I will use your service in the future! Second time working Daniel. Great service as always. Few days late this time but quality was there. Purchasing again in the coming days. Daniel did a great job with my ebook!